You’d be happy, too, if a friendly little bluebird was perched on your knee! 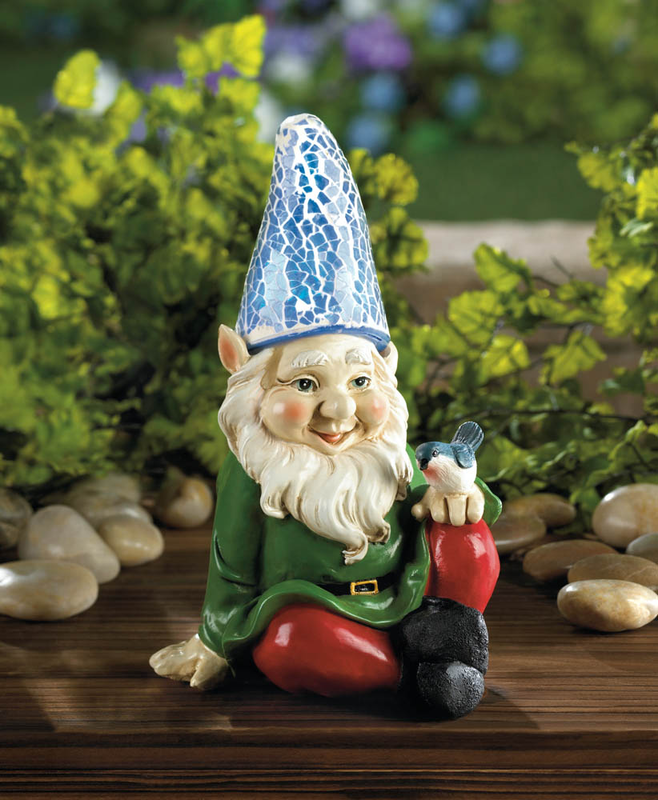 This charming garden gnome statue features a tall blue hat that lights up at night after soaking up the sun all day long. Item weight: 0.6 lb. 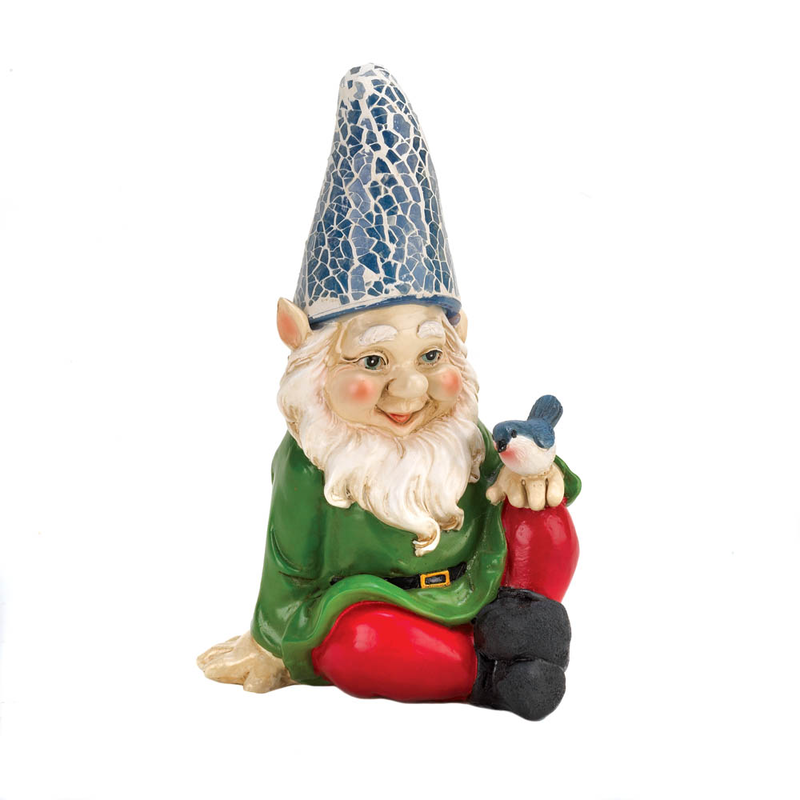 4" x 4" x 7¼" high. Plastic, polyresin and solar panel. UPC: 849179019938.